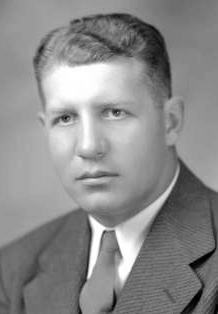 1927: Former Husker tackle Lon Stiner is named head baseball coach at Colorado. He would later become head football coach at Oregon State. «1942: First-year head coach Glenn Presnell deals with wartime roster uncertainties 10 weeks before the start of the season. 1972: Bob Devaney, getting ready to coach the College All Stars in a game against the Super Bowl champion Dallas Cowboys, has a couple of familiar faces at quarterback. 1977: Former Nebraska quarterback Jerry Tagge gets off to a good start in the CFL. 1987: After concussions ended his football career in Canada, former Husker QB Turner Gill struggles with the transition to baseball. 1992: Turner Gill resigns as receivers coach at SMU to join the Huskers as quarterbacks coach. 1997: Micheal Booker signs with the Falcons and Jared Tomich with the Saints. Also, Christian Peter takes advantage of his second chance with the New York Giants. 2002: Former Husker quarterback Eric Crouch, the 2001 Heisman Trophy winner, signs a three-year contract with the St. Louis Rams as a wide receiver. 2007: Mike Rozier, the Huskers' all-time leader in rushing yards, is enshrined in the College Football Hall of Fame. Also, Wide receiver Maurice Purify receives a one-game suspension after being sentenced to probation in connection with a June DUI arrest and a May bar fight. 2012: A media poll pegs Nebraska for third place in the Big Ten Legends Division.